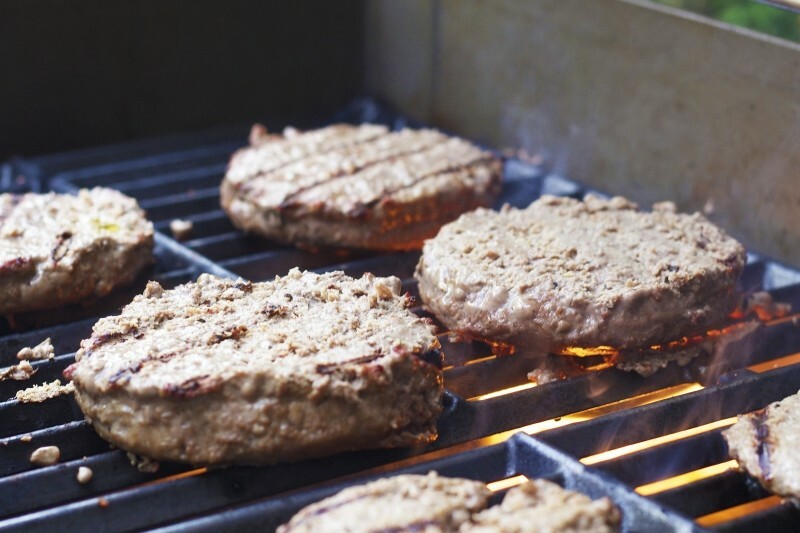 Home Chef: The Truth About Rare Burgers – Are You at Risk of Food Poisoning? The Truth About Rare Burgers – Are You at Risk of Food Poisoning? When the sun’s shining over a bank holiday weekend, there’s nothing better than throwing a barbecue for friends and family. You set the table with all kinds of al fresco favourites. And you serve the burgers, even though they’re slightly pink in the middle. But that’s ok, right? Just like a nice rare steak. Wrong. Harmful bacteria like salmonella and e.coli could be lurking in that uncooked meat. And now it’s got a one way ticket into your digestive system. The Food Standards Agency (FSA) has delved into the gruesome truth behind Brits chomping into undercooked burgers. And it’s not nice. The report claims over five million Brits are at risk of food poisoning from pink burgers at bank holiday barbecues. Even though 71% of us are concerned about food poisoning, a worrying 36% would eat a burger that isn’t properly cooked. But do you know what could happen if you eat an undercooked burger? An undercooked burger could be contaminated with harmful bacteria. When you eat contaminated food, you put yourself at risk of digesting salmonella and e.coli. Two things you definitely don’t want in your body. These harmful bacteria can lead to a nasty case of food poisoning, leaving you with symptoms like nausea and diarrhoea. Not a position you want to find yourself in. A surprising 81% of us have admitted to undercooking burgers at home. It’s important to know the steps you can take to minimise the risk of food poisoning. The first step is to understand the difference between burgers and steaks. There’s a common assumption it’s only dangerous to eat undercooked pork and chicken. 32% of Brits believe that eating a rare burger is the same as eating rare steak. But burgers aren’t like steak. Harmful bacteria can live on the surface of cuts of meat. And when they’re seared in a pan, the harmful bacteria are killed. This isn’t the case for burgers. Burger meat is minced which means the harmful bacteria living on the surface of the meat is mixed the whole way through the burger. Undercooking burgers simply doesn’t kill the harmful bacteria, putting you at risk of food poisoning. 12% of people would choose to eat a rare burger and trust the restaurants serving these burgers do it safely. So it’s easy to fall into a trap of believing it’s safe to eat rare burgers. But there’s a huge difference between how meat is cooked safely in a professional kitchen to how you do it at home. The FSA's video below highlights the differences between burgers and steak. Make sure you watch it. Keep raw meat separate from other foods. Use different utensils for meat. Check the meat’s not pink on the inside. Check the meat’s piping hot all the way through. You’re looking for your burger to reach 70°C in the middle and for it to hold its temperature for at least two minutes. Using the Hygiplas Easytemp Thermometer will give you an accurate temperature reading. Follow this link to read the FSA’s report on consumer understanding of rare burgers.